“Giving is good, dear sir! Even when one has little, giving is good. Every penny that you donate using PayPal Giving Fund will go to Buddhist Global Relief, unlike other payment services, which charge a fee – typically a small percentage – to process the donation. You must have a PayPal account to use this service, and it does not support recurring donations, but we hope that you consider these minor inconveniences compared to the benefit of 100% of your donation going to BGR. Unfortunately, this service is not available outside of the United States. A PayPal account is not necessary with this means of donating. PayPal also accepts both domestic and foreign credit cards. Please note that a small processing fee will be taken from the donation when using PayPal. You may also indicate an amount to donate every month. Network for Good accepts U.S. credit cards only and also facilitates donations made on behalf of or in memory of another person. Please note that a 5% processing fee will be added to your credit card charge. Gifts are deductible to the full extent allowable under IRS regulations. You are welcome to view our current Form 990 and Determination Letter on the financial Information page. 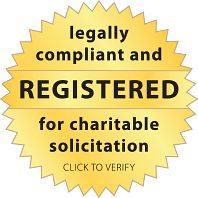 The GuideStar Exchange provides potential supporters with information about the legitimacy of non-profits. GuideStar has designated Buddhist Global Relief a Silver Participant. This means that we provide GuideStar key information about our programs, impact, finances and people that is richer and broader. Please read about us on the GuideStar website. The most tangible expression of our sense of human solidarity is the act of giving. Through giving, we break down the psychological barriers that separate us from others and affirm our fundamental unity. Through giving, we let the water of compassion flow through our own hearts and into the hearts of others. The practice of generosity ennobles and dignifies our character; at the same time, it helps those in need find a base of security that will support their efforts to provide for themselves and their families. Most importantly, giving demonstrates to others that they do not walk alone; that there are people far away, never seen by them, who care for them and share their suffering; that there are those who earnestly wish to help. With such thoughts, we invite everyone who empathizes with our mission to contribute to our work by making a donation. A large number of small gifts can combine to create a mass of funds that can be fruitfully used to aid those in need. The Buddha said that to give food is to give the recipients life, health, beauty, happiness, and mental clarity. By giving these, the donor in turn acquires a store of merit, of wholesome karma, that will eventually ripen in these five benefits.